The name De Zeven Provinciën refers to the Seven Provinces which formed the Dutch Republic in 1581. Construction started in 1939 as the HNLMS Kijkduin, but was interrupted by World War II. She was renamed to HNLMS Eendracht in 1940 and HNLMS De Ruyter in 1945. 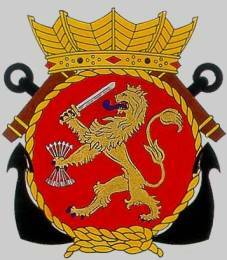 Her sister ship was launched in 1944 as the HNLMS De Zeven Provinciën, but the ships swapped to their final names in 1950. 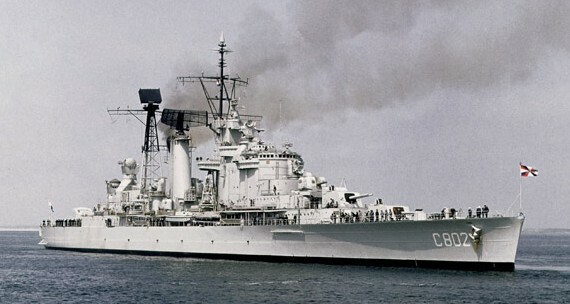 She was completed in 1953 and served the Royal Netherlands Navy from 1950 to 1977. 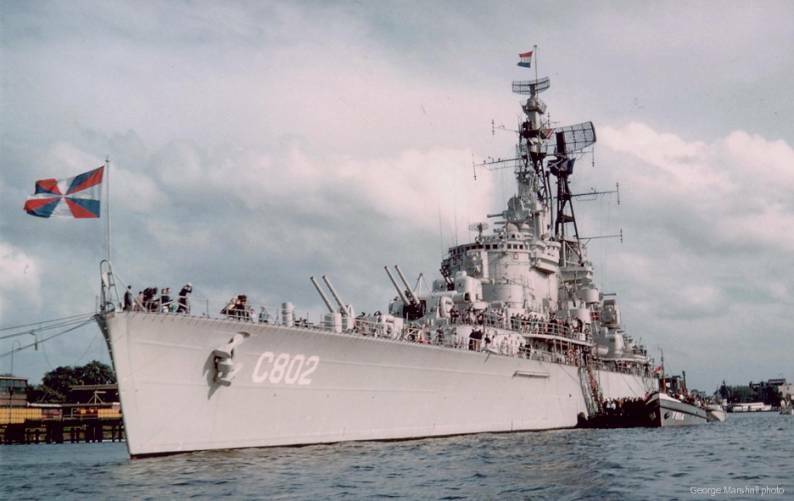 From May 3, 1962 until August 3, 1964 she was converted to a guided missile cruiser. The rear tower got replaced with a RIM-2 Terrier SAM system. The De Zeven Provinciën was sold to Peru and renamed BAP Aguirre in 1976, its RIM-2 Terrier SAM was removed and replaced by an hangar and a flight deck for ASH-3D Sea King helicopters. She was finally decommissioned in 1999.